Jean's Quilting Page: Bluebird is ready to fly...or at least to quilt! 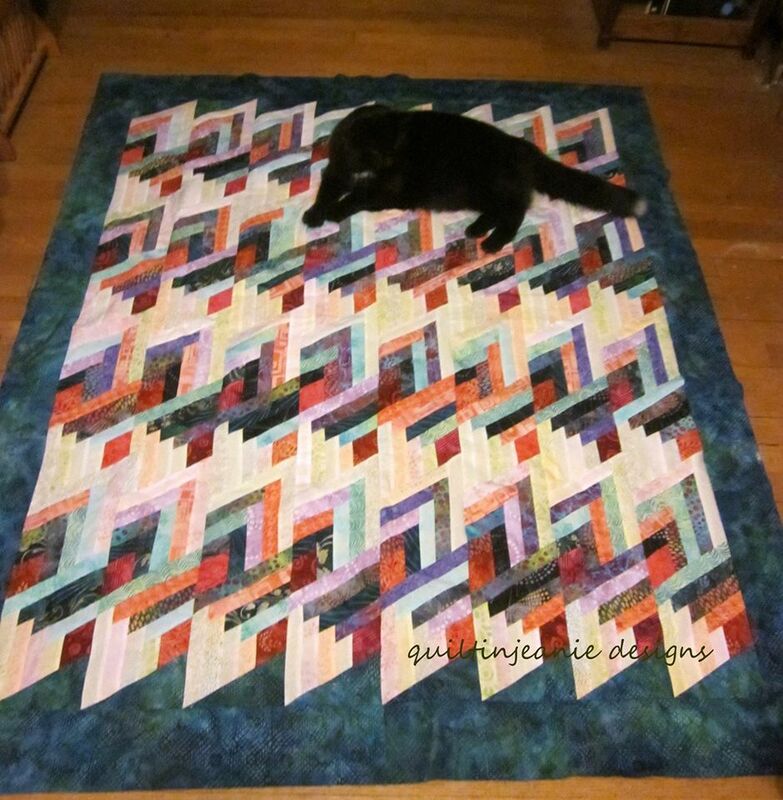 Bluebird is ready to fly...or at least to quilt! 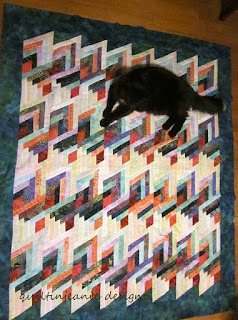 I sewed the borders on Bluebird last night and love how it looks with the quilt. 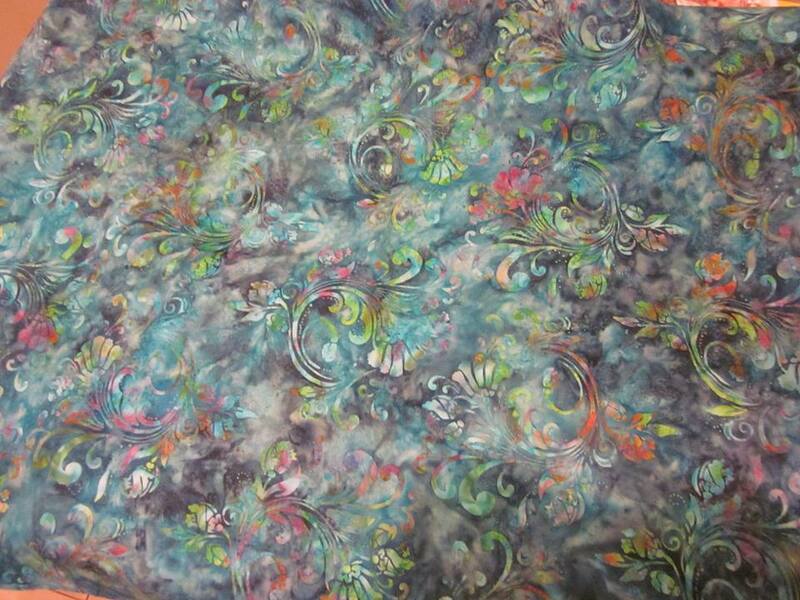 I used the same fabric as I had used on the triangles that straighten it up top and bottom. As you can see, it's Conrad approved. 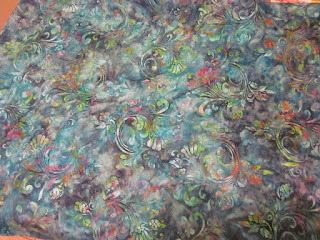 I love this teal batik and pieced a back out of it for the quilt. 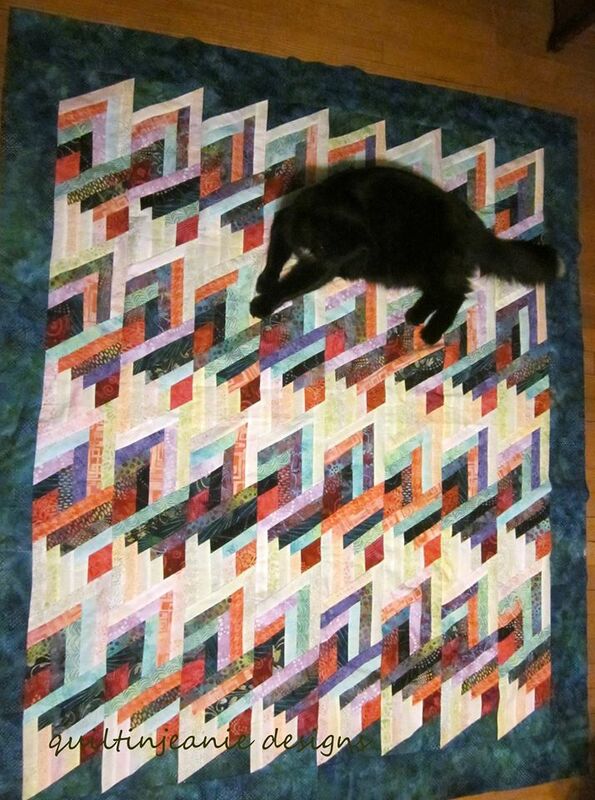 I can't wait to get it quilted. I will get some cat less pictures later. He really didn't want to get off! 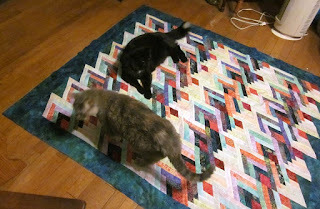 With the border the same color as the setting triangles, it makes it look like it was harder to piece. Nice colors you've picked, front and backing. Beautiful! 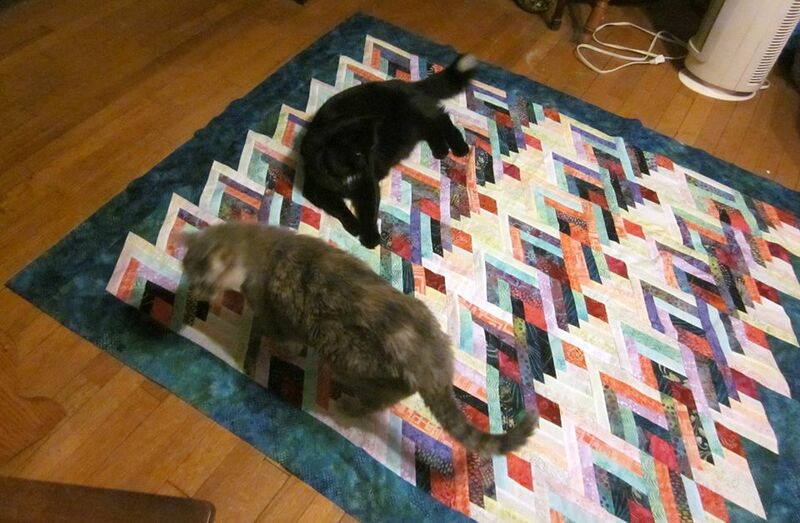 And you know it's a good quilt if it is cat approved!